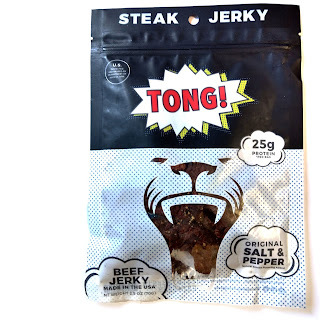 Tong Jerky is a brand that launched in 2018 by two buddies attending college in Los Angeles. 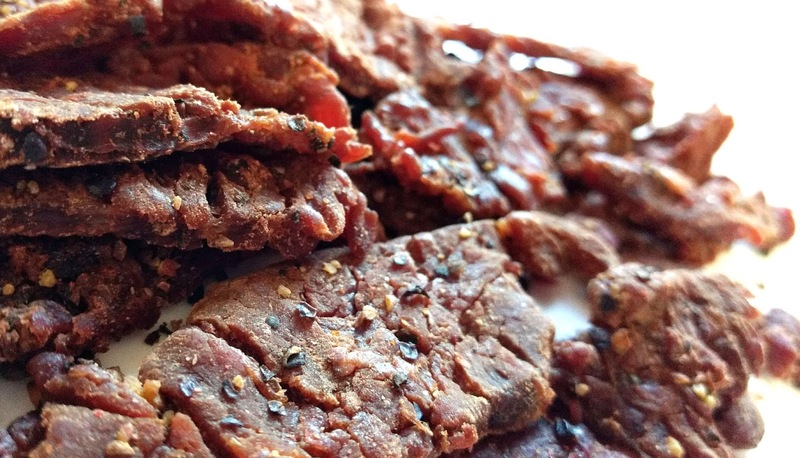 They originally discovered biltong, the South African dried meat snack. They came up with the idea of creating a beef jerky based on the biltong recipe, and Tong Jerky was born. After several years of perfecting recipes, they finally launched the company and started selling online. They're jerky can also be found in a handful of stores across Los Angeles. This Original Salt & Pepper is described by the company having a "kick of pepper balanced with its salty counterpart", going on to say it has a "delectable texture". Beef, brown sugar, soy sauce, worcestershire sauce, chili sauce, balsamic vinegar, seasoned rice vinegar, natural smoke flavoring, spices. The first flavor I pick up is a light sweet with a subtle vinegar and worcestershire. The chewing brings on a more defined Worcestershire with touches of soy sauce, while a bit more sweet comes in. There's a light tanginess that enters while the black pepper spice picks up. I also get a light natural meat flavor at the end. For being marketed as a Salt & Pepper beef jerky, it holds up well. Certainly, all jerky has some salt in it, and this is no different. The black pepper, however, is well represented. There's a lot of cracked black pepper bits on these slices, and its flavor comes in with a moderate level. It doesn't take over the show, it just adds its signature pungent flavor to the overall mix. The salt, however, remains light. The biltong part of this recipe seems missing, however. I don't get any of the classic coriander seasoning, which is something I would expect to find in a jerky that claims to be inspired by biltong. Otherwise, the primary taste profile is a sweetened, watered-down blend of soy sauce and Worcestershire, with a light vinegar tanginess, with a noticeable black pepper spice. 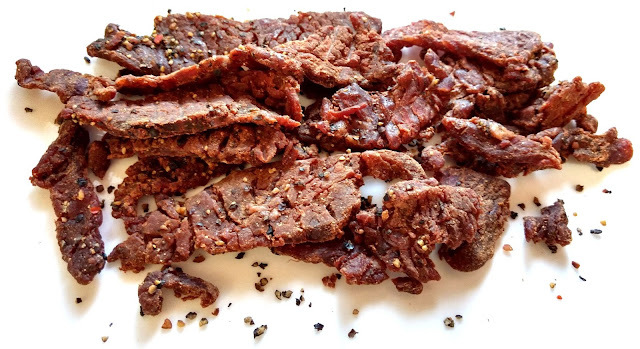 This Salt & Pepper variety from Tong Jerky delivers a lot of bits of cracked black pepper with a moderate spiciness and flavor. I like the soft, tender chewing, and the lightly tangy blend of vinegar, worcestershire and chili sauces. The black pepper really only adds to that marinade without trying to steal the spotlight. It's otherwise an addictive jerky in its own right, and delivers a balanced blend of savory, sweet, salty, and lightly spicy chew.